Ian and Michael were already owners of two boats prior to launching Fish Whisperer Ltd. Ian the owner of EXTASEA and Michael the owner of MIC MAC. 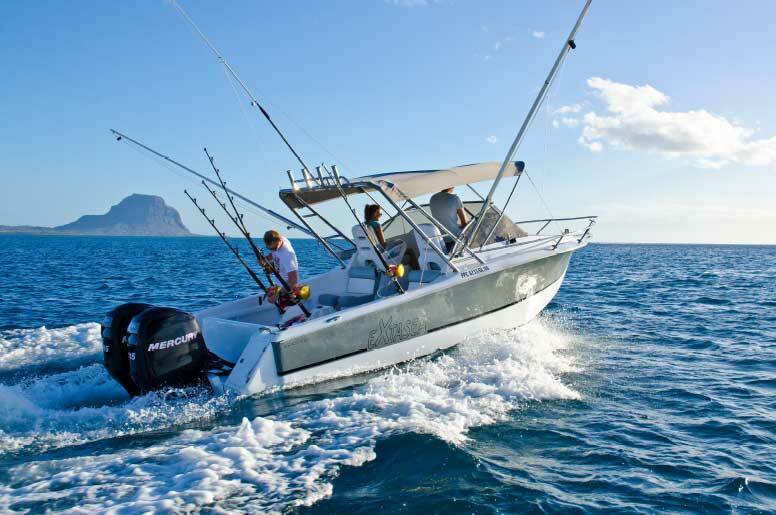 EXTASEA is a 22 foot (6.6 metres) boat that was designed and fully equipped for Big Game Fishing in Mauritius and MIC MAC, an 18 foot (5.4 metres) boat that is better adapted for Tuna fishing and Dolphin watching in Mauritius. 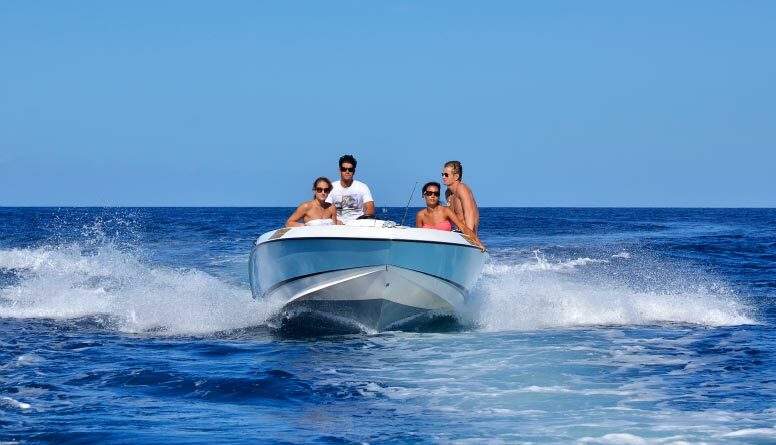 After having studied and analysed the fishing charter and dolphin watching markets in Mauritius, they immediately realised that their boats were ideally suited for many types of excursions. The size, the stability and the comfort of these two boats will bring certain added value to your trip. You are welcome on board one of our boats for a Fishing excursion, Dolphin Watching trip or a tailor-made outing. Enjoy fantastic moments on board our boats alongside our friendly and experienced crew. Extasea is a 22-foot ‘Legend’ boat that was built in Mauritius in 2012. 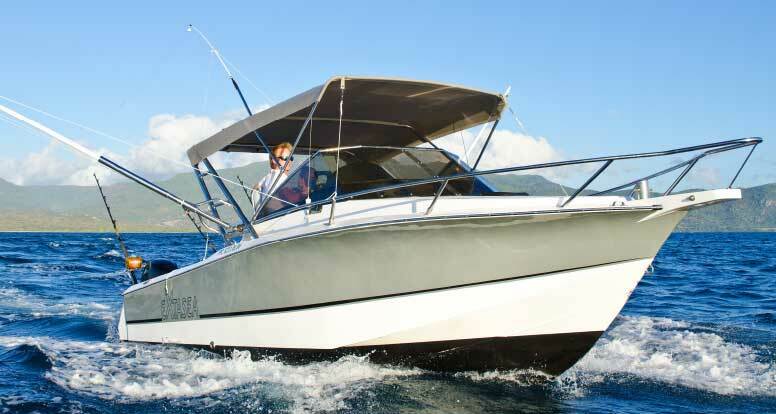 It has two 115 HP Mercury 4 stroke motors and is fully equipped for Deep Sea Fishing, Small Game Fishing and customised excursions in Mauritius. The cabin, the canopy and the fresh-water shower will bring additional comfort to your fishing experience. 7 x Penn international rods / 2 x jigging rods / Harnest / gaff / ropes / fight chair and a huge variety of lures for trolling or jigging. 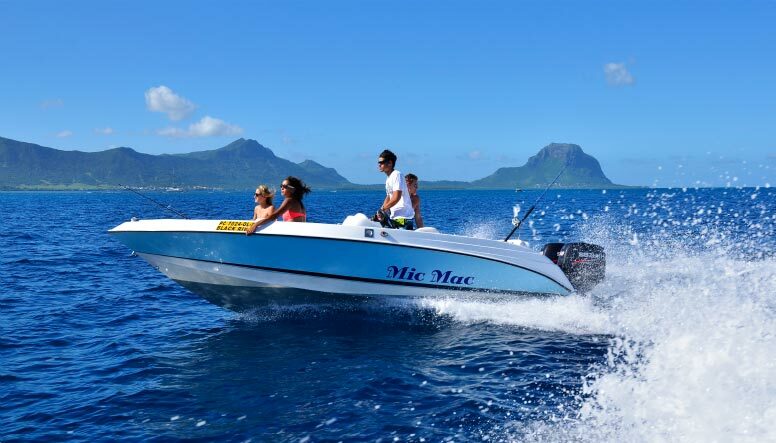 Mic Mac is an 18-foot ‘Legend’ boat that was built in Mauritius in 2011. It has two 60 HP Suzuki 4 stroke motors and is fully equipped for Small Game Fishing, Lagoon Fishing, Jigging, Casting and customised excursions. 3 x Penn international rods / 2 x jigging rods / 3 x light rods for lagoon / Harnest / gaff / ropes and a huge variety of lures for trolling or jigging.